Final Fantasy is arguably the most important release in the entire history of Square Enix - or Squaresoft, if you'd prefer - and one of the biggest names in the video game business. For many years it was said that the game was so named because it represented the last throw of the dice for the studio; prior to Final Fantasy, Square hadn't had all that much success in the video game arena. 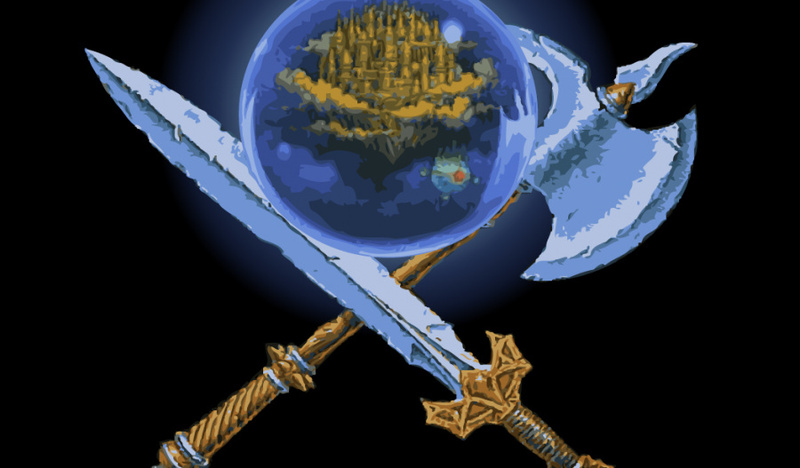 The RPG changed all that, becoming a massive hit in its native Japan and founding a series which continues to be the jewel in Square Enix's crown, even today. However, creator Hironobu Sakaguchi - who recently gave a talk on the history of JRPGs - has stated that this tale is false. 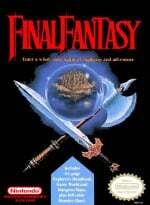 He says that the original name for the game was in fact Fighting Fantasy, which couldn't be used because it clashed with the Fighting Fantasy series of "Choose Your Own Adventure" game books, created by Steve Jackson and Ian Livingstone - the latter of whom would ironically become involved with Square Enix when the Japanese publisher purchased Eidos Interactive. Those days definitely seemed like end times, but honestly, any word that started with 'F' would've been fine. That's another gaming myth debunked, then. But why let facts get in the way of the more romantic storyline, right? Aw man. I was always a fan of the legend saying it was going to be their last release. It just sounded so epic. Like Casey at the Bat but if he got a homerun. Well... this is a bit of a disappointment. Ah well. Doesn't change the games themselves. They'd be fun to play either way. It seems just so random to let people know that fact now almost 30 years later and when not working for Square Enix anymore. That story about the last game for Squaresoft is such a known story that I don't think that the words of Sakaguchi will mean much now. I prefer to continue to believe the previous story, it makes the whole thing more beautiful. "The name ‘Final Fantasy’ was a display of my feeling that if this didn’t sell, I was going to quit the games industry and go back to university. I’d have had to repeat a year, so I wouldn’t have had any friends – it really was a ‘final’ situation." Him making these statement before makes me wonder if "any word that started with 'F' would've been fine." Now it just takes away from the meaning of what he said and it was just like "Oh we don't care." Turned a cool story into a meaningless story as the name is meaningless now. Now, one thing that kind of gets me though is how this is called a myth... though he himself created it. Come on, NintendoLife. Don't go down this road. This isn't how respectable outlets write headlines. That's first year JSchool stuff. I don't visit sites with Buzzfeed-y headlines and I'd hate to have to leave this one because you posted "No one was surprised when Miyamoto walked onstage at E3... Then he said THIS." This trend wastes reader time and insults reader intelligence. And it really just makes you look desperate. And that's not a good look for you, NL. On topic: Like others have pointed out, he's officially said the "last ditch effort" story before, so I'm gonna hope this interviewer missed some context or something. I have a feeling they probably just wanted the FF alliteration at first, but when someone suggested "Final Fantasy," it hit a little closer to home and they ran with it. At least, I hope so. Because Flatulent Fantasy would have been a very different game. I don't think some words starting with F would be fine. At least I would expect an entirely different game. @Captain_Gonru Not sure if you read the second quote I added since I found another one and edited my comment, you may have seen it before I added it but look at the second quote, he makes it pretty clear why it is called 'final'. "I thought of retiring from the game industry and I created Final Fantasy as my final project. That’s why the title includes the word ‘final’ but for me, the title ‘Final Fantasy’ reflects my emotional state at the time and the feeling that time had stopped." Even if they made fighting games, 'Fighting Fantasy' would still sound wrong. Well, there's quite a few words starting with "F"... such as the one that on this site is bowdlerised as "firetruck". So yeah. and how about a HD remake of the Last Story? "...but honestly, any word that started with 'F' would've been fine." O_o I'm sure there are a few that wouldn't have been fine. Then a few generations later they use the FF again in Flying Fairy for Bravely Default. Surprising how that game sell considering it doesn't label as Final Fantasy. What's with the headline? I feel like i just stepped into one of those scummy news feed sites that use clickbaiting headlines like "10 Crazy Secrets to Weight Loss". Annyway this kinda takes out the whole fun of the "Final" part of the name, and I'm not even really sure I understand this at all. It just spoils the fun. Like finding out the name Samus Aran came from some soccer player. Uh, so? Is it really that important to know how Final Fantasy actually got its name? Does this change anyone's view on the franchise, or even Squenix? Why am I even writing this?! So, does this mean Foo Fighters are big in Japan? I think this article is an lie as I have read an different story from another article. The "Final" project for Square before they decided to exit the Game world. The original Final Fantasy for DAD fans was an great hit from my understanding. I will admit Joemama it was hard for me to get into the original three games until I saw the "WonderSwan/Cell phone ports". The extra graphics makes the games shine like "Mario-Allstars". I feel sorry for the NDS people seeing these games in 3d. Speaking of jokes asides, if you watch "Burn-up-W" they have childish terrorists make demands retaining to an prodigy of "Dragon Quest" where they make an virtual or false commercial of DQ claiming this is their final game and thus we added "Final" to the title. He could've just changed the story, like many stories change over time. Perhaps his personal feelings have changed on the matter. Maybe Final Fantasy has become this heartless machine of a game series he isn't close to, so he felt it was time to give the fans the heartless side of the story. I disagree, but we are all entitled to our own opinions. I guess... It just seems strange to me. First asexual Toads, and now this? But what about The Last Story? It's not too late to render the old misconception half-true and really make the final entry in the series, you know. watching it linger on like a vegetable on life-support like this still hurts over ten years since I renounced any future interest in the series. How does this dissaprove it? He said any word that started with F would have been fine. That doesn't mean feeling like end-times didn't inspire the word final. I think this is being read into too much. @undomiel "When the legend becomes fact, print the legend". Though on the plus side, the plot of the game DOES actually make the title seem like it makes sense. I won't say why because spoilers, but there is plot to support it being the "Final Fantasy". I miss FF8. Not because of it feeling going to school or anything but because it was JUST LIKE HOW SCHOOL WAS FOR ME BACK IN HIGHSCHOOL. FF8 for me was the first time I played an PSX FF game in my own household with FF7 in others peoples places. FF8 hold so many secrets and things but what I hate about it is how I am disappointed in the game itself. Many people at that time also hated the game for not being like FF6. That is why FF9 have the theif character ( Locke ) as well as the other oblong, odd-ball characters. Same reason why FF12 on the PSX is basically another revamped FF6 using FF5 and FF1 tones. Note FF12 the princess chest is sticking out at the player-san. I mean so enjoy playing that game watching her breasts stick out like sore-thumbs. They are kinda low in place but otherwise decent. It is kinda annoying to see but otherwise the best choice for her. Then their is the rabbit girl, oh man with that tall big body. Vann main friend ( who is always being over-taken by everybody else ) she is okay to look at. I like the early promo of her Pinkish colored hair. Dammit I love the skin color of FF12. I think it was the best choice for them. No more pale people, or bleach colored skin people. Also the English Sounding accent also mixes in ( which makes the game more playable ). I hate how FF10 characters all sound like stereotypes. It is far more playable in Japanese or with no sound on. @EmmatheBest If they would have named it "Fighting Fantasy" then Final "F antsy" would sound strange to us. ANY word starting with F would have been fine? Farting Fantasy, Flatuence Fantasy, F*ppin' Fantasy... No, how about just plain F***in' Fantasy, then?!! Fighting Fantasy should have been the name for Ergheiz. Don't forget Fat Fantasy. Or Fatty Fantasy. Overweight versions of Cloud and Tifa!